How do you deal with communication problems in a relationship? Is there a solution? Are there signs it can't work out? Our dating coach tried to help these readers sort through these very questions on relationship communication problems. Moving in with a person can be both exciting and tough. What can make moving in with someone rough is that each person comes into the relationship with his or her own ways of doing things. Sometime those 'ways' are not compatible with the other person's style. When this happens, tension is likely to rise in the relationship as two people learn to negotiate, compromise, and work through the initial problems of living together. In addition to discovering the idiosyncrasies of the other person, the couple has to share and discuss sensitive issues like money, chores, and privacy… etc. If the couple has not talked about and agreed to how these sensitive issues would be addressed prior to moving in together, then the relationship will feel the pressure of talking (or not talking) about these issues after the move-in has taken place. For a couple to move in together, the relationship needs to be solid enough to withstand the stressors that are natural for two people living together. This does not sound like it is the case for you and your boyfriend. In your situation, there seems to be sensitive areas that either have not been talked about or are non-negotiable. This is not good for any relationship, let alone one of living together. You wonder if it is too soon to give your boyfriend an ultimatum about his drug use. You should only give an ultimatum if you plan to follow through on it. However, your boyfriend already gave you an ultimatum about his drug use when he told you, that smoking pot was part of him and you will just have to learn to deal with it. Your relationship with the guy is already off to a very rough start whether or not you respond to his smoking by giving him an ultimatum. 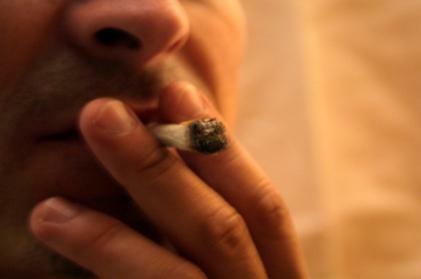 For one thing, you say you just learned after dating for two months that he had a pot habit. Upon learning of his drug use and talking with him about it, he responded by dismissing your feelings about drug use and giving you an ultimatum. Second, you feel strongly about drug use, but seem willing to ignore your own feelings. Third, you don't feel comfortable talking to your boyfriend about things that will upset him. If you move in with this guy as things currently are, you will be compromising your values and beliefs in order to live with someone who has shown so little respect for your thoughts and feelings. Unfortunately, guys are not mind readers and your man is no exception. While it would be nice if your man was so sensitive and in tune with you that he would just stop calling his 'home girls' without you having to say a word, this is not likely to happen. He may not understand why you are jealous since he doesn't see these girls as threats to you. Another possibility is that he knows it bothers you when he talks with his home girls and that is why he does it. If this were to be the case then he will continue talking to them as long as the calls continue to bother you. You can't make your man change his behavior if he doesn't want to or if he doesn't agree with your feelings, but you can influence him. Here are a couple of ways you can do this. One is to assume that he doesn't understand it hurts your feelings when he calls him home girls. In this situation, you will want to tell him how it upsets you. Wait until the two of you are alone and both of you are in a good space, and then share with him that you get jealous. You could say something like, "I really, really like you. But, sometimes I find that I get jealous when your attention is not on me when we're together. I think this is why we argue when you have been talking on the phone to your home girls. It would mean a lot to me, if you would not call them when we're together." In this situation, your man would find it flattering that you get jealousy and insecure. If he cares about you deeply, either he will not want to upset you and will stop talking with his home girls or at least cut down on how long or how often he talks with them. If it is the second scenario, where he is doing it to purposely bother you, don't tell him directly how you feel. Instead, use your influence to change his behavior. When he is on the phone talking with a home girl, you flirt with him making it difficult for him to continue talking on the phone. If you use this method, it is important that you really be into the mood for flirting and not be angry. Otherwise, your flirting will appear manipulative. When you flirt with your man, you influence him to focus on how good it feels to have your attention on him. Since he can't focus both on his home girl and you at the same time, he chooses you over his home girl.